High chairs can be an ugly and cumbersome eyesore that we’d love to be able to hide when not in use. Then comes the Ovo High Chair designed by Micuna and suddenly we have a chair with a design aesthetic worthy of a place at your table and a feature in your living area. 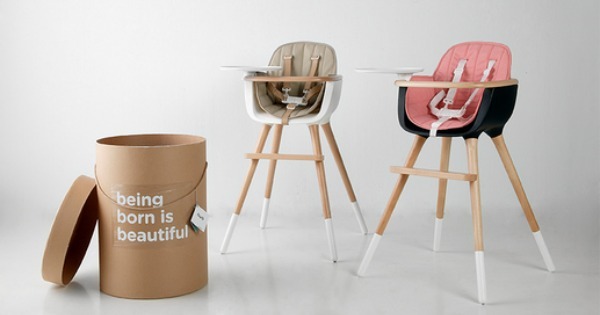 The Ovo High Chair was first unveiled on Babyology back in 2012 and proved to be super popular with all of you. Now a whole range of new colours and limited edition designs have been released, so a refresher is in order. 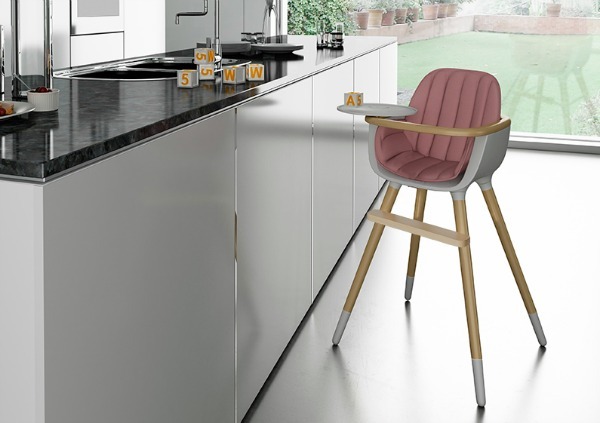 Designed by Culdesac for Micuna, one of Europe’s leading children’s furniture companies, the Ovo High Chair has won numerous international awards for its style and functionality. Not only is the Ovo perfect for beginner eaters, it grows with your child. The safety bar can be removed so your toddler can sit freely at the table, but maintain a good vantage point. Later, the legs can be shortened to become a desk chair when it is no longer needed at the table. Made from solid beechwood sourced from sustainable forest management, the seat and tray table are white polyethylene and the safety harness is made from imitation leather for comfort and minimal rubbing. 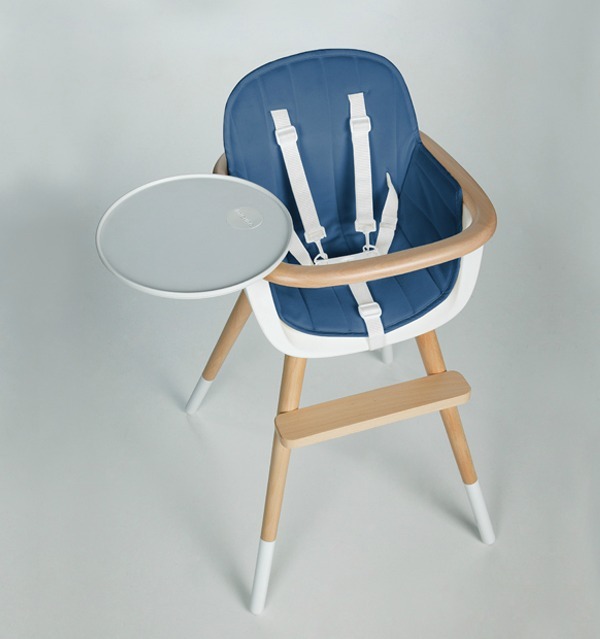 The Ovo High Chair proves great design and elegance can coexist with practicality and the safety guidelines. The moulded seat comes in white or navy and the classically styled fabric cushions can be bought separately in a range of gorgeous colours including pink, red, blue, beige and white. Limited edition Ovo high chairs have recently become available and they definitely add a pop of personality to the standard edition with painted pink and green accents on the wooden legs and printed cushions featuring pineapples and ladybugs. Missfitz is the Australian stockist for the Ovo High Chair and has the white moulded seat high chair ($895) with cushions in pink, blue, beige or white for an additional $80. Click through to Missfitz to secure one of the most stylish seats around for your little person.